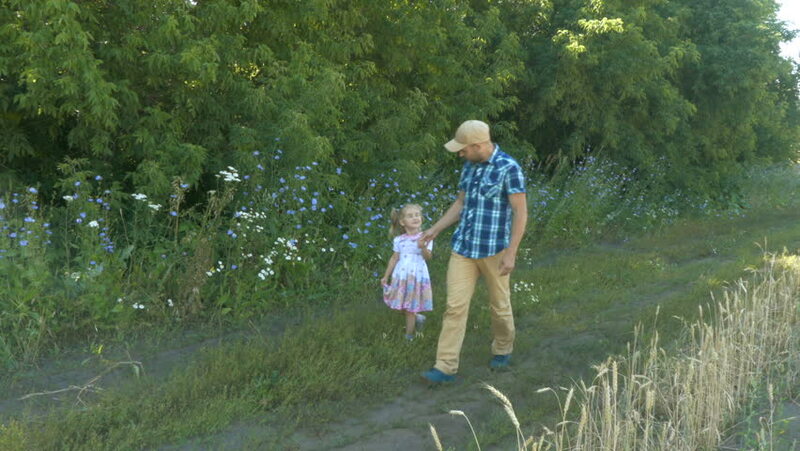 Dad Father and daughter walking outdoors on a forest path hand in hand. Family life. Healthy lifestyle. 4k00:25Glade overgrown with grass in the forest. The glade is strewn with yellow wild flowers. Sun rays make their way through the grass. Wind gusts stagger plants. Summer day.